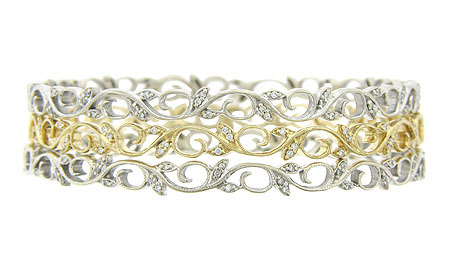 This antique style vine shaped bangle bracelet is crafted of 14K white gold. 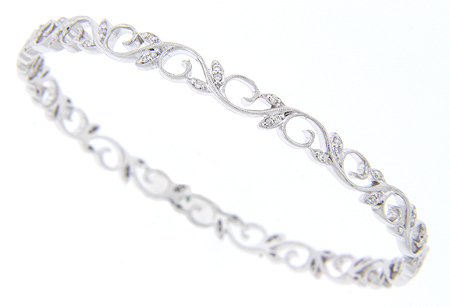 The vine pattern spans the bracelet’s entire circumference and the leaves are ornamented with sparkling diamonds. Shown with a matching bracelet in yellow gold BR499-Y (sold separately). The bracelet measures 1/4” in width. 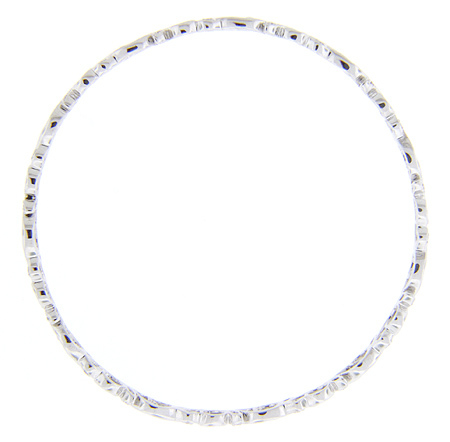 The bracelet shown here has an interior circumference of 7in.